It is cold outside! Well, most evenings anyways here in Texas, but I know some friends on the East Coast are still recovering from a terrible blizzard. 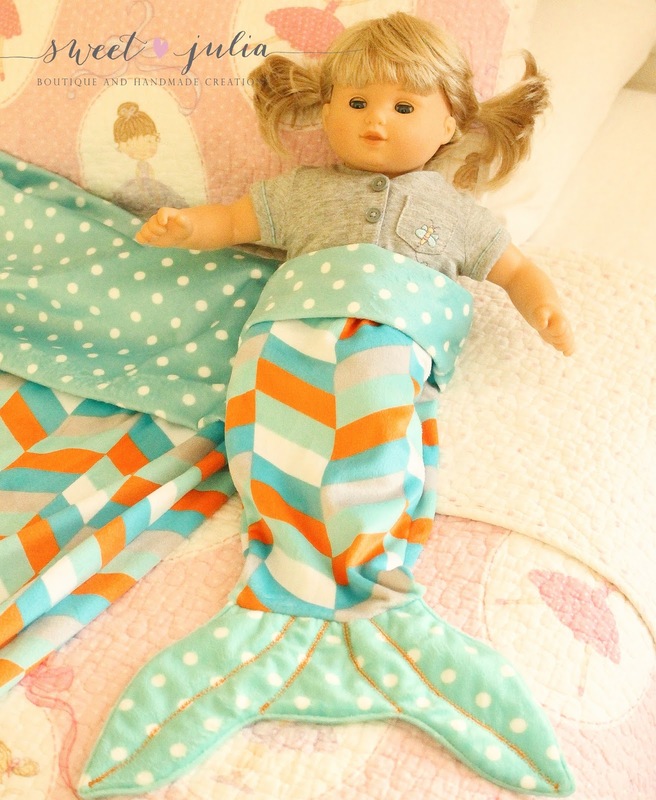 Now, for those cold nights I bet any girl would be more than happy to be wrapped around (or inside) a mermaid tail blanket. Made for Mermaids patterns held a fantastic 12 days of Christmas back in December full of free patterns and ideas, so I helped myself to some of those freebies. 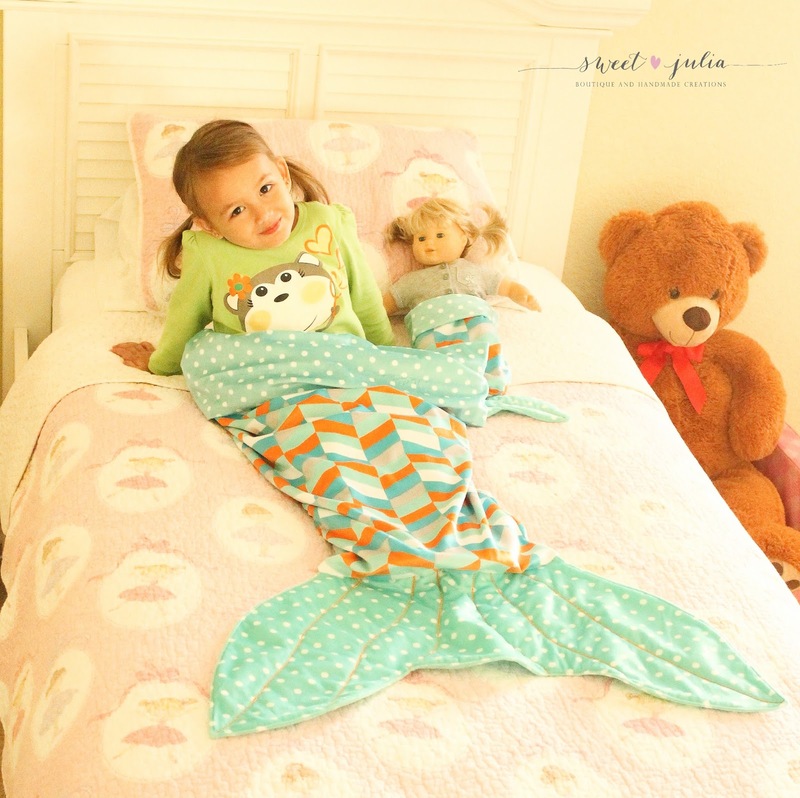 My favorite one was definitely the Mermaid Tail Blanket, it was just perfect for my mermaid loving little girl. The instructions and pattern are on the Made for Mermaids blog right HERE . I hope you stop by and take a look at all those amazing freebies and at Megan's patterns as well, they are not only amazing but incredibly easy to follow with step by step photos. Here's my version of the Mermaid Tail, did I mention it comes in Dolly Size too?